I have a 60 year old sibling who has been hoarding since her child went off to college. S/he is now sleeping in the bath tub. S/he insists s/he is not a hoarder. The other siblings and I have attempted to help clean, but it is truly overwhelming. My sibling has issues with abandonment, victimization, and discrimination. Can you help? To let readers of the site know, I responded to J when this question arrived in my inbox and didn’t make her or him wait for me to write about it in a column. It’s a common type of question we receive to the site, however, and so I wanted to address it more publicly for anyone who may come to Unclutterer with similar concerns. Hoarding is a serious and real illness for those who are plagued by it. It’s not a personality quirk or something they’re able to control at this point in time. The person is not hoarding to upset you, but the stuff is likely upsetting the hoarder and he or she feels completely powerless about it. Similar to other physical and psychological ailments, hoarding is not a condition that goes away on its own. Hoarding requires the treatment of a licensed medical and/or psychological practitioner who has been especially trained to help people who are diagnosed hoarders. Thankfully, most licensed medical and psychological practitioners also work in combination with professional organizers who have been trained to work with this segment of the population. With treatment, almost all homes and lives of hoarders will see improvements over time. As someone who loves a hoarder, it also can be difficult to see someone in need — as it is the same as seeing someone you love hurt in a car accident or in the hospital with pneumonia. You want to be able to fix things, and that desire is understandable. For someone on the outside looking in (both literally and figuratively), there are also resources available for you so you can provide the best type of support for your sibling (or spouse or child or parent or friend). The International OCD Foundation’s Hoarding Center — This group is led by Randy Frost, PhD, and Gail Steketee, PhD, two of the nation’s most prominent researchers and clinicians in the field. I strongly recommend starting with this site to learn as much as you can. Children of Hoarders — Although their site name implies they only help children of hoarders, they do much more than just help children. They have an incredible support forum for people who love those who struggle with hoarding. Additionally, their Resources section is very helpful. Institute for Challenging Disorganization — The ICD provides superior information to those working daily with hoarders and individuals with chronic disorganization, as well as individuals seeking their support. This is another must-stop site when learning about hoarding and resources available for hoarders and those who love them. Thank you, J, for submitting your question for our Ask Unclutterer column. I hope you are able to find the type of assistance you are searching for through one or more of the previously mentioned organizations. You’re also a wonderful sibling for loving and wanting to help your brother or sister. Please also check the comments for insights from our readership, many of whom have been in a similar situation as yourself. Good luck! Just a reminder that if you are interested, today is the last day to sign up for Unclutterer’s first Quarterly product shipment. To learn more, visit Quarterly’s site or our initial post “Subscribe to Unclutterer on Quarterly” about the subscription service. The first mailing will be sent on June 14. Thank you! Get manuals into your computer. Use the nearly ubiquitous Evernote to make your manuals accessible from your digital devices. Ensure that every manual is ready as soon as you need it with NO searching required (the cool trick). Reduce frustration and repair time around the house. The first step, of course, is to find digital versions of your paper manuals and get them into your computer. There are several ways to do this, and I’ll cover three. You best bet is to look online, and your first stop should be the manufacturer’s website. For example, here’s a link to the manual for HP’s Officejet 6500 Wireless All-in-One Printer. If you can’t find the manual you’re after by visiting the manufacturer’s site, you’re not out of luck. User-manuals.com offers a large selection of user and service manuals, mostly for large appliances. The manuals on this site aren’t free, and will charge you about $8.99 per manual. The site’s search feature works well, and lets you narrow your inquiry by brand. Another option is theusermanualsite.com. It stores thousands of product manuals and a huge, searchable list of brands and products. What’s really nice is that theusermanualsite.com is supported by an active community of users who will respond to your requests. Theusermanualsite.com requires a free membership. There are other manual sites available, but I’ve had the best luck with these two. If the manual is not too long, scan it. Many are only long because they contain several languages. You can scan the two, three or four pages that are in your language and disregard the rest. If you don’t have a scanner, don’t worry! There’s a great iPhone app called Piikki that’s useful in this situation. It’s meant for taking photos of receipts, but really you can use it with any piece of paper. Piikki is very good at identifying the edges of paper and grabbing a readable, useful image. From there, send it to your computer. Of course, you can also take a photo with Evernote and get it right in your database that way. More on Evernote later in this post. A quick note before I move on to the next section. Don’t overlook “homemade” manuals and similar supplements. A few years ago, I had to replace the belt on our clothes dryer that turns the drum. While I had the machine apart, I sketched how it came apart, where the parts belong, and how it all fits back together. Today, I’ve got a scan of that drawing for future reference (and yes, I got it back together again). Now that you’ve got your digital user manuals, store them in a fantastic, nearly ubiquitous digital database called Evernote. We’ve written about Evernote before and for good reason. It’s a dead-simple way to store just about anything that’s digital, from manuals to ideas, from music to packing lists. Best of all, it’s nearly ubiquitous. There’s a version for just about any device you own, as well as the web. I treat Evernote as my digital filing cabinet. Evernote stores information in what it calls “notes.” Similar notes can be grouped into a “notebook.” In our case, one note will be one user manual, and all of those notes will be gathered into a single notebook called, you guessed it, “Manuals.” Here’s how to set things up. First, create a notebook. Fortunately, the process couldn’t be simpler. On the left-hand side of your browser window, right-click (that’s Control-click for you Mac users) on the grey area where it says “Notebooks” and select “New Notebook.” Name it “Manuals” and you’re all set. The exact steps required to create a note depend on the device you’re using (iPhone vs. Mac vs. Android device, etc.). I’ll review how to do it in a web browser, as that’s the same for everyone, and leave you to suss out the (similar) process on your computer/tablet/smartphone of choice. Navigate to Evernote.com and log in. The note creation screen appears. Enter a name for you note (like “DVD Player Manual”). Click “Show details” and enter “manuals” as the tag. This is important as you’ll see. Click the attachment icon (it resembles a paperclip), navigate to your manual and attach it to the note. 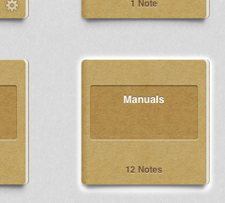 Select “Manuals” from the Notebooks drop-down menu to put it in the proper notebook. That’s it. 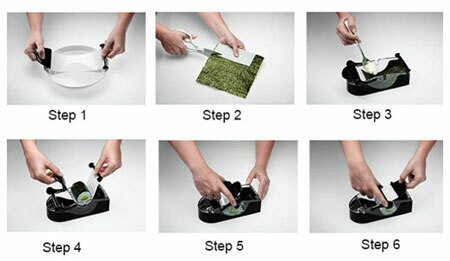 Repeat the process with all of your manuals. Once you’ve done this on one device, those notes will be available on every other device that you have that runs Evernote. Adding them can be boring, but now for the fun stuff. I promised to teach you a cool trick. This isn’t it, though it’s still pretty nifty. You can search for a term in Evernote and then save that search so you don’t have to type it over and over again. Plus, Evernote is smart enough to update the results for you. In the Evernote app for the desktop, enter “manuals” in the search field and hit Return. Look at the results to make sure they’re accurate, then click on the File menu, and then choose File and then Save Search. Give it a nice name (I suggest “Manuals”) and you’re all done. From now on, all you need to do is click the search field and “Manuals” will appear there for you. Just give it a click. Here’s another cool bit: saved searches sync across devices. That means, once you’ve created the saved search on your computer, it will be available on your smartphone as well. OK, here’s the super-cool trick I’ve been promising you. While doing research for this article, I came across this brilliant idea from author Jamie Todd Rubin. His idea is to use QR codes, Evernote, and sticky paper to create almost immediate, no-search access to your digital user manuals. QR Codes are those funky, square-shaped boxes of scanner code you might have seen, similar to the one at right. A QR Code reader (like this free one for the iPhone), can read the information it contains and perform a resulting action, most often opening a web page. You can make your own QR Codes for free with a tool like this one at KAYAW QR Code by providing the link you’d like it to point to. Every Evernote note has a unique URL. To find it, simply open the note in your Evernote app and select Copy Note Link from the Note menu. 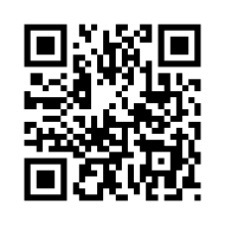 Then make a QR Code with that URL, using the free QR Code generator linked above. Once that’s done, print the page, cut out the code and stick it to the side or back of your printer, blender, DVD player, what have you. Now, whenever you need the manual for that device, all you need to do is scan it with a free QR reader app and presto! Evernote launches and opens that exact manual for you. No searching, no typing. Ingenious. If you don’t want to use the Note URL from the Evernote app, open the target note in a browser and copy its URL. That will work, too. There you have it: digitize your user manuals to greatly reduce clutter, keep them close at hand on a smartphone, tablet, or computer, and use QR code stickers on your devices to let THEM retrieve your manuals for you. Have fun. Thank you to reader Tamera for finding this fabulous unitasker for us. Now, please excuse me as I must take my leave to dance around the room for no reason at all. What do you do to keep mugs from overwhelming your cupboards? How do you organize your coffee cups? What is the “right” number of mugs for your home? I know that the Rachel Ray Garbage Bowl pictured to the right looks like a regular bowl — but it isn’t. No, this is a very special bowl. In my continuing search for apartment-friendly organizing solutions, I’ve found a sturdy product from 3M that can help renters from having to put nails into the wall. There’s not a single right way to set up a filing system; the right system is one that works for you, where the time you spend filing pays off in ease of finding your documents when you need them. Does someone else need to share your files? If so, be sure to answer these questions with whomever else will be filing things away or retrieving things from your filing system. How much do you want to scan? If you’re comfortable with digital files, you may want to scan many of your papers and then discard or shred the originals (the ones that are legal to shred). Sometimes, you may want both a scanned copy (for backup and easy access) and a paper one. For papers you’re keeping, do you prefer binders or file folders — or some combination thereof? For action papers, are you comfortable using a tickler file? Action papers are those that need attention versus reference papers (such as your insurance papers) and archives/historic papers (such as your tax returns from 3 years ago). A tickler file creates a space for papers associated with actions, based on when you’re planning to take that action. There’s a section for each day of the current month and a section for each of the next 12 months. If you don’t want to use a tickler file, you could create files labeled by type of action needed (pay, call, enter into address book, etc. ), or by urgency. How many files do you really need? Don’t be afraid to create a file for a single piece of paper, if it really doesn’t fit with anything else. But don’t go overboard with subdivision either, if it doesn’t help with retrieving your papers. Are you more of a “piler” than a “filer”? If so, you can still organize your piles to make things easier to find, for you and others; consider the Pendaflex PileSmart products. You could also use a series of baskets or bins on a shelf to hold your various piles. Where do you want to keep your files? Action files need to be close at hand to where you work. Many people prefer to keep them in some sort of step file, desktop file box or wall-mounted file — but some people prefer to keep them in a file drawer. Reference files need to be convenient to get to, but not as close by as action files. And historic files can go anywhere you have secure storage space; you don’t need easy access to them on a regular basis. Do none of those filing options sound quite right? Get creative. Keep important papers on a wall, using a series of clipboards. Use a collection of transparent bags hanging on racks. Go wild! Are you OK with basic manila file folders and green hanging folders? Or, do you want something snazzier? You’ve got lots of choices, from a rainbow of solid colors to a huge range of patterns. Do you want file folders inside of hanging folders or just hanging folders, or just file folders? If you’re going with file folders inside hanging folders, you may want what’s called “interior folders,” which won’t obscure the labels on the hanging folders. 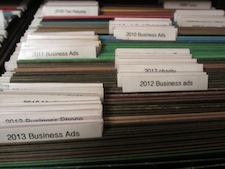 You may also want box bottom hanging folders to hold a large number of file folders. Do you want folders made from recycled materials? If this matters to you, look for folders with a high percentage of recycled and post-consumer material content. Is color-coding useful to you, or just one more thing to worry about? You can always use colored folders just because you like them, without assigning any specific meaning to a color. Do you want folders with the normal 1/3 cut tab (left, center, right) or with straight-cut tabs? Straight-cut tabs, which go the whole length of the file folder, give you room for longer labels. In either case, if your file folders will get a lot of use, look for ones with reinforced tabs. Do you want to use a label maker, or just hand-write your labels? Labels made with a label maker are very easy to read — especially helpful for those of us with older eyes — and have a nice polished look. But plenty of people are happy with hand-written labels, too. In either case, I suggest avoiding dark-colored plastic tabs on hanging files, because these make the labels hard to read. Do you want to use straight-line filing, or staggered? For my own files, I use straight-line filing with all the tabs in a single position; I like not worrying about messing up my staggered tabs (left, center, right) when I add a new file. (I use a new tab position to indicate a new grouping of files.) But others find staggered files easier to use. Do you want to group related files, and, if so, how? Some prefer a simple A-Z filing system, while others prefer to have groupings: financial papers, family member papers, etc. Do you want to put all your insurance papers together? Do you want to put all your car-related papers together? Where does the auto insurance go? Got your answers? Now you’re ready to create your filing system. As you work with your files, you may change your answers to some questions; that’s normal. Keep adjusting your system, so it keeps working for you. Many people are often in search of a strategy, tool, or productivity system that will help them to get more done. This is a good goal to have — afterall, who doesn’t want a set of habits that will help them cross stuff off their to-do list? In addition to actually accomplishing what you set out or agree to do, there’s a strong feeling of satisfaction you get when you actually pull it off on a regular basis. On the other hand, it is possible this exuberant feeling you get from being productive can be taken to the extreme. You might crave that feeling so much that in your attempt to consistently recreate it, you end up working all the time. 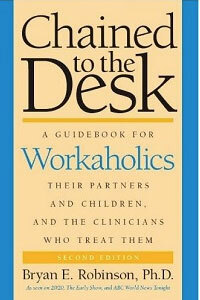 One could speculate that the need to work all the time is really about wanting to be in control. Others may characterize this as an addiction to working, even if the task you’re engrossed in is a worthwhile endeavor. Perhaps, work feels like a comfortable place to retreat to, a way to escape other parts of your life. No matter what the underlying reasons are, if you find yourself focusing on work tasks all the time, you are likely to be considered a workaholic. On the surface, there may not seem to be a downside to spending a few extra hours at work each day, especially when you’re achieving the goals you set for yourself. But, keep in mind that you may be confusing working too much with having a strong work ethic. While both may require diligent effort and a reliance on core values, overworking likely includes a lack of discipline or the inability to stop working and recognize when it’s time to take a break. Here on Unclutterer, we’ve often extolled the benefits of taking mini-breaks throughout the work day as well as the positive effect exercise and sleep has on productivity. Certainly, if one is always working, there would be little or no time for either of those activities or any outside interests. 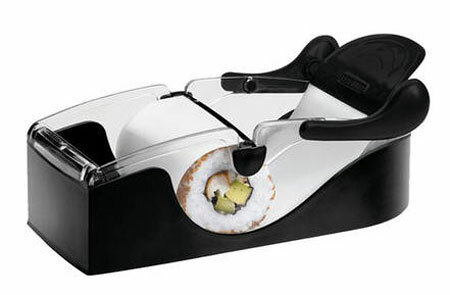 Ultimately, this would lead to burnout. If you’re taking on too much, it is possible that you may not realize it (take Dr. Robinson’s quiz). As I mentioned before, you may think you’re simply a hard worker. Of course, there may be times when you need to work extra hours. Business owners everywhere (myself included) understand this all too well. However, it is important to prioritize specific tasks and to recognize when it’s time to ask for help. The latter will not only allow you to streamline your focus, but also help you to be more productive. Ten benefits of slowing down. Preserving for posterity or hoarding? “A Generation X pack rat forfeits his treasures” is a thought-provoking article that explores the fanfare surrounding Douglas Coupland’s recent donation of his home’s vast collection of clutter to a university’s library. Reader Alison has introduced us to a very specific type of cherry pitter that is the opposite of small, looks extremely difficult to clean, and doesn’t appear to be nearly as efficient as its traditional competitor — and definitely crosses the line from single-task device into unitasker territory. A bubble globe and a lip extender can solve problems your cats might have keeping their business inside the Litter Robot. I just wanted to drop a quick reminder that the subscription deadline for Unclutterer’s first Quarterly mailing is in a little more than a week, June 1. 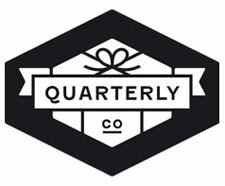 Again, Quarterly is a subscription service that sends out curated packages four times a year, as its name implies. The Unclutterer staff will be selecting the items that go into all of the Unclutterer mailings. We will be including straightforward directions on how to use/install/manipulate the items. These will be quality products that will bring a higher level of organization to your spaces. 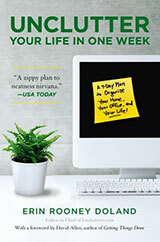 Each mailing will be focused on a particular theme, to help you find order in a specific area of your life. Rest assured, the products we have chosen for our mailings are useful and clutter-curing, not clutter-creating. Our assumption is that for every item we send, you will actually be able to subtract one or more things from your homes and offices. 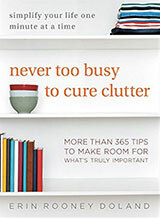 Or, the items will help you discover a significantly improved level of organization in your life. Our many years of experience as professional organizers has taught us that there are universal clutter problems for which almost everyone needs better solutions and tools. The themes of our mailings address these universal issues. Additionally, if you already have the solution we mail, the items will make wonderful uncluttered gifts for friends and family so you can spread your vision of an uncluttered life with others. We are incredibly excited about this project and have had a very positive experience putting together the first mailing. If you’re interested, you can learn more about Quarterly and Unclutterer’s partnership on Quarterly’s site. We truly appreciate anyone who chooses to subscribe to our mailings, as in addition to helping you become more organized, a small percentage of the subscription fee comes to us so we can keep the lights on, servers running, and our writing and technical staff paid for all of their hard work. Subscribers need to sign up for the first mailing by June 1 and the first package will go out on June 14. Thank you to all of you who have already subscribed and to those who choose to do so in the future. Depending on your buying habits and your drinking habits, you may never need worry about whether or not to keep a bottle of booze. But sometimes people do wind up with alcohol that may not be worth keeping: because they got something as a gift and never drank it, because their own drinking habits changed, because they inherited some bottles, etc. At Unclutterer, we’ve touched on this subject before, but I’d like to provide more detailed guidance. Two things can go wrong with beer. Beer can get skunky — so it smells pretty awful, almost exactly like a skunk — if it’s exposed to light. Beer in brown bottles or in cans has good protection from skunking. And as the Beeriety blog explains, some beers that come in clear or green bottles use a hop substitute rather than actual hops, which means they won’t get skunky. Beer also goes stale over time — more quickly if it’s not refrigerated. It won’t harm you, but it won’t taste all that good. How long does that take? As Chantal Martineau explains on Food Republic, one expert says three to six months for many beers; those with high alcohol content last longer. You can check for sell-by dates on the bottles, although they’re sometimes hard to see, and may use codes rather than actual dates, making things more complicated. “Distilled spirits don’t go bad; they fade,” says Glenn Jeffers, writing in the Chicago Tribune. Unopened bottles of hard liquor like whiskey will last indefinitely, unless you store it horribly — like in a cedar chest, close to mothballs, or near a direct heat source. Bottles with very little left in them deteriorate more quickly; these are the ones you’re most likely to want to pour down the drain. These liqueurs will indeed go bad; some will note an expiration date on the bottle, so look for that. You can also check the guidance of the individual brands. Consider taking a moment to assess your own liquor collection, before you ever get to a situation as sad as solid cream liqueurs. You can buy one for each season and to match the decor in every room of your house! They’re only $40 a piece. Wow. Just wow. 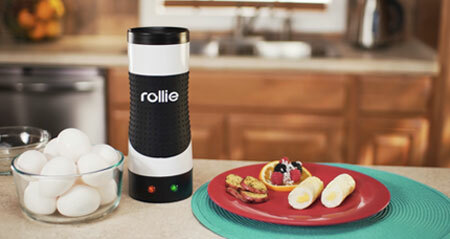 Thank you, Stephen Colbert and Rollie Eggmaster for giving us all such a hearty laugh. Reader Shannon is looking for tips for people with ADHD and who are also visual processors. I was wondering what you thought of spice racks? 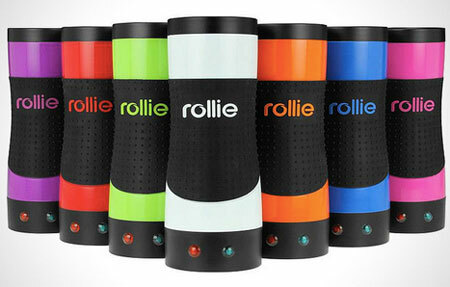 I was thinking of purchasing one, but I see a lot of of options and some seem bulky, expensive and unappealing. Poop Freeze Aerosol Freeze Spray is supposed to do what its name suggests — freeze your dog’s mess. A family of four renovates their small East Village apartment to make it livable for a family of four.